Thank you for your interest in writing for intheQuiver.com! Before submitting an article, please read through our site to become familiar with our goal and themes. • Strengthening the Bow » Devotional articles to encourage moms in their walk with Christ. • Forging Arrows » Articles on practical ways to equip children to serve God and others. 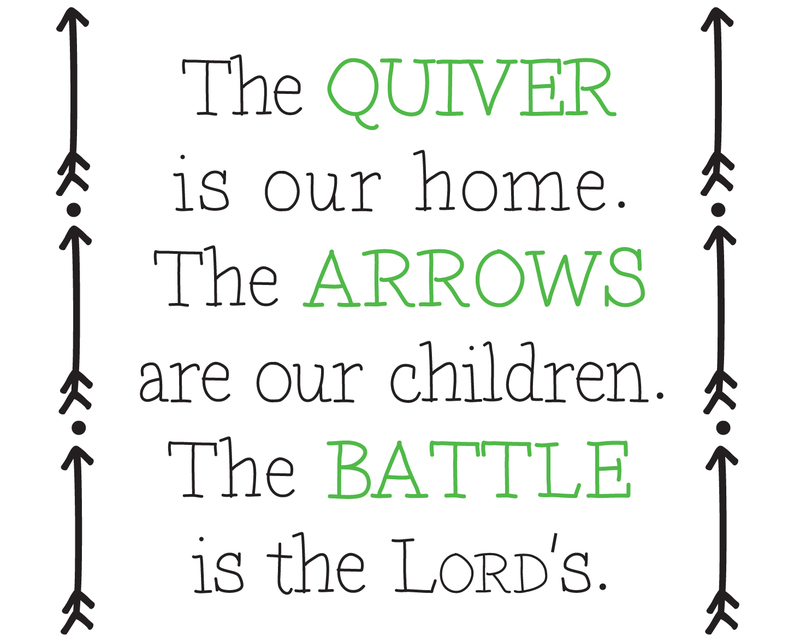 • Building the Quiver » Recipes, DIYs, decorating ideas, craft projects, and articles to help create a comfortable place of refuge for families. • On the date of publication, each guest post will be the featured article in the primary image block of five-graphic header on the home page for approximately 4 days. • Posts rotate through the five-graphic header of the home page for an average of 2 weeks, and then posts remain active on the site indefinitely. • Guest posts receive a link on the applicable content page within the “in the Quiver” tab. • InTheQuiver retains the right to edit, format, and otherwise modify accepted posts, images, etc., to fit the site’s format, style, and content. Authors may not be notified of these edits in advance of publication. • InTheQuiver does not pay authors to guest post. • Guest authors for InTheQuiver retain the rights to their work/s, but InTheQuiver respectfully requests exclusivity for 60 days. • Submit a Microsoft Word document, using Times New Roman 12-point font for text. • Keep word count below 600 words (300-500 is best). • Use block formatting: No paragraph indentations; leave a blank line between paragraphs. • Include a short bio (100 words or less) as a separate paragraph at the end of the post. • If applicable, include links to your social media accounts, website/blog, or books you have published. • Attach a JPEG photo of yourself as a separate file for use with your bio. • Submitted photos should be personal files without copyright restrictions for posting. If photographer attribution is needed, submit that information as a separate line underneath the bio. • Photo file is not required for post publication. • Cover images for each post will be provided by InTheQuiver. • In the body of email, type a short (100 words or less) paragraph that includes the title of the attached article, the word count, the InTheQuiver category for which you are submitting, and your email address. • Send email and attachments to LeighThomas@Windstream.net. • After you have sent the email with your attached file/s, you should receive a notification email within 7-10 days to let you know that your submission was received and is under review. Another email will be sent within approximately 30 days to notify you of the status of the submission. • Once your post has been accepted, you will receive a publication date. • When your post goes live, please share the link on your social media accounts. We want everyone to see your wonderful article! • Be sure to check on your post for several days after publication to respond to any comments. We appreciate your interest in partnering with InTheQuiver and look forward to hearing from you!